Dr. James C. Perry is Professor of Clinical Pediatrics and Affiliate Professor of Bioengineering at the University of California San Diego, as well as the Director of the Pediatric Electrophysiology and Adult Congenital Heart Programs at UCSD/Rady Chldren’s. He earned his undergraduate degree in developmental neurobiology at Princeton and an MD with Distinction in Research from the University of Rochester. His clinical training in pediatrics, cardiology and electrophysiology were obtained at Children’s Hospital of Philadelphia and Texas Children’s Hospital. Dr. Perry’s research has had a focus on clinical aspects of cardiac electrophysiology, antiarrhythmic drug efficacy and pharmacokinetics, cardiac pacing as well as independent and industry-associated cardiac rhythm device development. 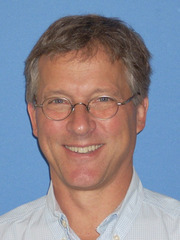 His current research with UCSD faculty in the Cardiac Biomedical Science and Engineering Center includes measures of cardiac flow dynamics, modeling and kinetics secondary to cardiac pacing-induced dyssynchrony states and papillary muscle functional contributions to ischemic mitral valve insufficiency. Dr. Perry was recently Chief Scientific Officer and co-founder of Teknion Heart, Inc., a start-up based in St. Paul, MN and focused on implantable cardiac rhythm management platforms for pediatric and adult congenital heart patients. He has patents and patents pending in the areas of electrophysiology catheters, sheaths and implantable devices. Dr. Perry serves on the Editorial Board of the journal Heart Rhythm, is past President of the Pediatric and Congenital Electrophysiology Society (PACES) and is on the Medical Advisory Board of the Adult Congenital Heart Association. Outside of academics, he is a Lifetime member and Chapter co-founder of the Surfrider Foundation, and a Board Member of the non-profit San Diego Coastkeeper.